This latest collection of thirteen science-fiction and fantasy stories from novice authors upholds the high standards set by previous volumes in the series. In Erin Cashier&apos;s compelling post-apocalyptic tale ""Cruciger,"" 30 WC Planet Builder Duxa, an intelligent spacecraft, undertakes a mission to recreate humanity on a terra-formed world after a plague destroys nearly all human life on Earth. Duxa&apos;s struggle to accomplish her mission is a sophisticated exploration of morality and faith. Kim A. Gillett&apos;s beautifully written ""The Bird Reader&apos;s Granddaughter,"" a narrative of prophecy and fate, follows teenager Catia as she tries to learn the seer&apos;s craft from her grandmother. 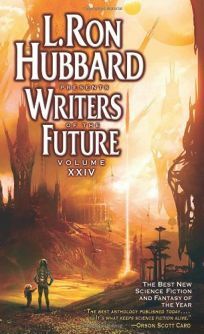 Based on these efforts, fans of the fantasy genre need not worry about an infusion of fresh blood; readers can expect more gripping, imaginative creations from these authors, and others represented in this volume, in the future.